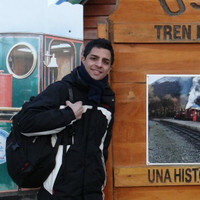 Exequiel is our Destination Expert in Argentina. Iguazu National Park Excursion, see the Falls from both sides! This trip offers a perfect combination of spectacular natural sites, such as the Salt Flats, Iguazu Falls and the beautiful Hill of the 7 Colors. Enjoy unforgettable cultural experiences like a Wine museum tour and tasting, historic city trips, and a Gaucho show at a ranch! 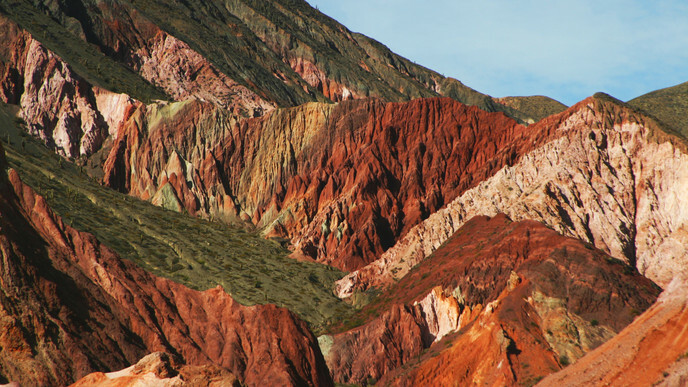 Embrace the colors, tastes, nature, passions, and history of Argentina. Arrive at Ezeiza Airport and then enjoy a private transfer to your hotel. If you are interested, you can customize your trip by booking an optional dinner Tango show for the evening. What a way to start your adventure! Make the most of your visit to this city, with a guided tour through its passions, history, and culture. Your tour starts with a trip down one of the main streets, Avenida 9 de Julio. Here you will see the Teatro Colon and the Obelisco, a monument which holds important symbolic value for the city. Then stop at the striking Plaza de Mayo, the city’s historical, political and cultural epicenter. You'll also explore San Telmo old town and the stunning Parque Lezama. Next stop in La Boca, a vibrant barrio which is home to the Boca Juniors football stadium and the heart of the Pasión Argentina: football! Visit Caminito, Puerto Madero, and the most exclusive and greenest part of the city: Palermo. See the chic neighborhood of La Recoleta and then end your tour in downtown. That's not all! You'll also take a trip to the beautiful Catedral de San Isidro and enjoy a 40 minutes catamaran ride in Tigre. You will take a private transfer from your hotel to Aeroparque Airport, where you'll catch a flight to Iguazu. On arrival, you'll be transferred to your hotel. The rest of the day can be enjoyed at your leisure. Today you will visit the Brazillian side of the Iguazu National Park. Setting off in the morning will ensure you get the best position of the sun over the falls for some spectacular photos! When you arrive at the Visitor Center, your trip starts with a drive to the main paths which stretch over 1,200 m of the park and sit above the Iguazu river. From there, you’ll get a panoramic view of the Argentine side of the falls: the perfect spot to take some photos. Continuing along this route, you’ll see the Cañón del Río Iguazú, Salto Rivadavia, Tres Mosqueteros and many other sights. Towards the end of the route, you’ll also see the lower part of the river and the impressive Garganta del Diablo (Devil’s Gorge). The walk ends beside Salto Floriano. Then you can take the stairs, or take an elevator straight down to the car park or up to shops and restaurants. Head back to your hotel in the evening. In this subtropical forest area, you’ll see an incredible variety of ferns, orchids, begonias, birds, and butterflies, as well as the diverse native species of flora and fauna. Today you'll head on to the main station of the park (‘Estación Central’) where you’ll be able to hop on a train to either the falls station (‘Estación Cataratas’) or the Devil’s Gorge station (‘Estación Garganta del Diablo‘). The other way to reach the falls circuits (Upper and Lower) is via the 600 m forest walkway (‘Sendero Verde’), which begins at the Visitor Center and takes you all the way to the falls station. From the falls station, you can take several trips. Today you'll be flying to Salta. You will take a private transfer from your hotel to the airport, where you'll catch your flight. Get to know this provincial capital in mountainous northwestern Argentina! Your professional guides will accompany you on board an air-conditioned bus to visit the most important places in the city. First, you will see the Cathedral, built in 1855, where you can find the remains of Argentina's national hero: General Guemes. You will also visit the America Cultural Center, the Historical Museum of the North, San Francisco Church, San Bernardo Convent and the monument to General Güemes. Along the way, your guides will tell you everything about the sites and their historical and cultural importance. Continuing your tour, you'll ascend the San Bernardo hill to enjoy the panoramic view of the city. Later. visit the village of San Lorenzo, which is characterized by its subtropical microclimate. Finally, you can visit an artisan market to pick up some unique souvenirs of your trip. You'll have an early departure from your hotel at 7 am to start today's tour - but it's worth it! You will be traveling via the ruins of Tastil, to arrive at San Antonio de los Cobres. There, have a lunch break. Afterward, you'll drive along National Route No 40 until reaching Salinas Grandes (Great Salt Flats), right on the border between Salta and Jujuy. There, you can enjoy free time, taking pictures and appreciating this unique natural environment, where the vast expanse of white salt contrasts with the blue of the sky. Then, you'll start the descent down Cuesta de Lipán. Keep a lookout, as this is a great location to see condors. After that, you will visit a typical Purmamarca village and its Cerro de los Siete Colores. First, visit the town of Purmamarca to observe the beautiful landscape of the Seven Colours Hills. Here you can also see the church and the artisan market. Then you will pass by Horn Post, continuing towards the town of Tilcara to visit Pucará and the archaeological museum there. Your next stop is in Huacalera, where you will pass the Tropic of Capricorn, where you can see the colors of the Pollera de la Colla Hill. Also, you'll visit the Church of Uquía, where you can find the paintings of the Angels Arcabuceros (important remains of Cuzco style art). Next, arrive in Humahuaca, with its important cathedral and the Monument to Independence (El Indio) by the sculptor Soto Avendaño. After lunch, return to observe the area of "the Painter's Palette" that frames the town of Maimara. Time permitting, you will return to Salta along a cornice path containing abundant subtropical vegetation. Travel by scenic Route No 68 towards Cafayate, where you'll arrive at noon, after crossing Las Conchas River Gorge. You will visit the Museum of Vine and Wine and two wineries where you can learn about the winemaking process and, of course, taste their wines. In recent years, the local wine industry has grown thanks to its outstanding quality wines, which have been recognized in international markets and competitions. This is due to the altitude of the area (between 1600 and 2400 meters above sea level), combined with the dedication and knowledge of the producers. Return to Salta in the afternoon. Today you'll be heading back to Buenos Aires. You'll enjoy private transfers between your hotel and the airport, and again when you arrive in Buenos Aires. Today is dedicated to a tour to the Santa Susana Ranch. Head out of the city towards Los Cardales with your guides and enjoy striking views as you make your way to the Argentine ranch. Upon arrival, you’ll be welcomed with some traditional meat empanadas, Argentinian wine, and soft drinks. You'll see Santa Susana's old-fashioned museum and beautiful church. Then you can ride in a horse-drawn carriage and explore the fields around the ranch. Santa Susana cooks up a delicious 3-course meal for lunch. After lunch, we’ll begin with the proper entertainment, where the Gauchos will show off some of their unique skills. To begin, you’ll see them racing in a traditional sortija fashion, then expertly herding the animals and finally taking part in a cuadreras race. At the appropriate time, take a private transfer from your hotel to Ezeiza Airport, where you can catch your return flight home. You'll be taking many wonderful memories back with you!